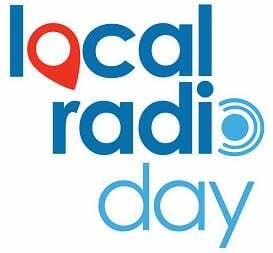 Digital Radio UK today (26 May 2017) welcomes Local Radio Day, now in its second year and with many more stations taking part after the success of last year. With over 75 stations participating, the aim of Local Radio Day is to bring together radio stations from across the sector to celebrate local radio and the communities it serves. Ford Ennals, CEO Digital Radio UK said, "Digital Radio UK welcome the Local Radio Day initiative and support local radio stations across the UK regardless of distribution platform, location of broadcast, ownership or affiliations. We think that great local radio is essential and is part of what makes UK radio great. It has been pleasing to see the amazing local radio innovation as part of the Ofcom DAB mini-mux trials and we believe that with the passage of the small-scale DAB bill into law that there will be now the opportunity for many more local stations to a have an affordable passage to digital broadcasting." The event is once again supported by the team at Ignite Jingles, which has made available the jingles it produced for last year’s event, whilst creating additional, new jingles for this year’s celebration. Chris Stevens, Managing Director of Ignite Jingles said, "We're delighted to be supporting Local Radio Day again. We already work with many local broadcasters across the UK and beyond and anything that helps fly the flag and promote the essential service local radio provides, is brilliant for the whole industry."